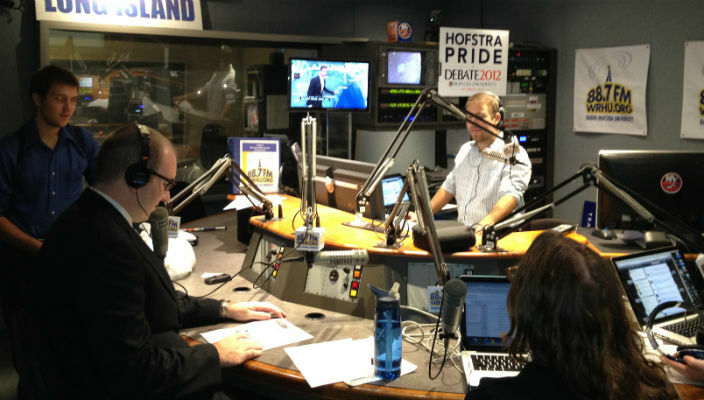 Hofstra University’s WRHU 88.7 FM is among the 20 best college radio stations in the country, according to Best College Reviews, a national higher-education survey. “WRHU is a powerhouse of emerging broadcasting stars being trained by some of Manhattan’s finest,” the survey says, noting that factors such as cultural relevance and campus influence were considered in the rankings. WRHU is also ranked #5 nationally and #1 in the tri-state area on Princeton Review’s 2014 list of best college stations. 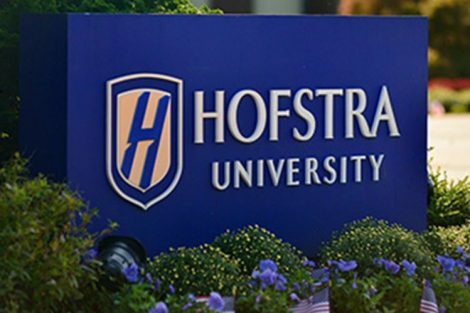 The station provides pre-professional broadcast training and development as part of Hofstra’s Lawrence Herbert School of Communication, and student staffers are required to take a semester-long introductory course before joining the station. More than 175 students work as on-air hosts and reporters or behind the scenes in engineering and production on 24/7 programming in music, news, talk, and sports. The station can be heard on 88.7 FM or online at wrhu.org. WRHU has also been the flagship station of the New York Islanders since 2010, the first and only college radio station to have an exclusive broadcasting agreement with a professional sports team. BestCollegeReviews.com produces independent rankings and surveys of educational and student programs and resources.